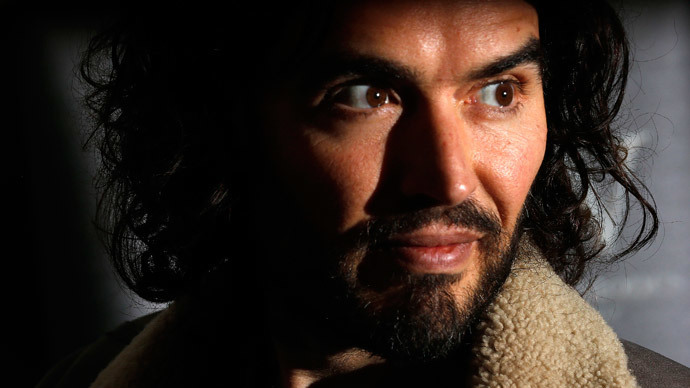 Comedian and activist Russell Brand has received an invitation from docklands workers in Cumbria after he called for the UK’s Trident nuclear deterrent replacement program, which their jobs depend on, to be scrapped. In his online blog “The Trews,” Brand said the money currently spent on national defense should be reallocated to the National Health Service (NHS). His comments, however, were not well received by the local MP in Barrow-in-Furness, where many workers are employed on the Trident nuclear missile replacement contract at BAE Systems. “I want us to have more to be able to defend this country than a sharp-witted, eccentric comedian. Come to Barrow and meet some of this workforce. Let's do this thing properly,” Woodcock says. The government predicts replacing Trident would cost between £15 billion and £20 billion, but anti-nuclear campaign groups put the figure closer to £34 billion, nearly twice the government estimate. BAE’s shipyard in Barrow employs 6,900 workers with around 1,400 currently working on the replacement submarines, which are not expected to be in operation until 2028. The location of controversial nuclear-armed submarine program has been under a secret review since the Scottish National Party (SNP) announced they want the fleet removed from Scotland. The Daily Mail claims the recent surge in SNP popularity since the independence referendum last September has caused the UK government in Westminster to consider an alternative home for the nuclear subs. The government has suggested moving the fleet to Pembrokeshire in Wales. SNP Leader Nicola Sturgeon has suggested she would not be opposed to forming a coalition with Labour, on the condition that a Labour/SNP government be committed to scrap Trident completely. The Ministry of Defense (MoD) says there are no plans to relocate the nuclear submarines from their current Scottish base in Faslane, but sources told the newspaper work has begun on the practicalities of moving the fleet to a Welsh port.